The GoPro Karma was one of the most anticipated and exciting drones of 2016. It was finally released in October of 2016, but just a few weeks later it was recalled because of a small number of drones falling out of the sky. GoPro has been pretty tight-lipped about what caused the issue but we got the inside information at CES 2017 (Consumer Electronics Show in Las Vegas). It turns out that the drone batteries were losing their connection because the molded parts that held the battery in place were not molded correctly. According to GoPro they were well designed, but the supplier provided out-of-spec parts and GoPro caught the problem only after some customers experienced the issue first-hand. After talking to GoPro we are pretty confident that replacement parts will be thoroughly tested to avoid any risk of another recall. 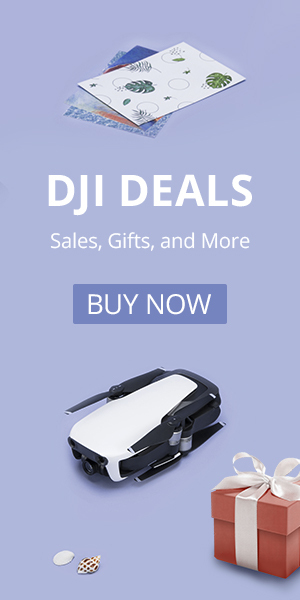 You also may notice that there are more replacement parts on GoPro’s website for their Karma drone, including a new Karma Core. The Karma Core, which was announced in mid-January, is $399. The Core includes an entire drone except for the battery, “stabilizer” (gimbal), and remote control. If you happen to stumble upon bad luck with your Karma you can quickly and easily get back in the air. Here is another big thing that we heard from GoPro at CES – expect to see the Karma soon. GoPro told us that they will be making an announcement about the return of the Karma this February. Even with the delayed launch, we expect the Karma to be a popular drone for both action camera and drone enthusiasts. There are many Karma doubters and detractors out there, but we are excited for this drone, here’s why. At Half Chrome, we really appreciate the camera being pushed far forward on the drone. Many people have criticized the Karma for what they think is an outdated appearance (think 3DR Solo). But we think getting that camera in front of the props is a good move. You won’t need to fly backward to avoid prop blur like Phantom pilots often do. The inclusion of a handheld gimbal with the drone is another huge plus. GoPro put the camera way out in front of the drone, so you won’t see the motors or the props when you fly. This picture was taken at CES. Another criticism of GoPros on drones is the distorted images that the GoPro captures. This issue may have been largely eliminated with the Hero5’s “linear” mode. We did a quick test at CES, and linear mode does seem to keep horizons straight, which indicates at least most of the distortion is corrected. So you won’t need to fix distortion in post processing if you prefer undistorted video. The GoPro does take sharper images than the Phantom 4, see our comparison below. GoPro designed the Karma to be easy to fly with a simple and intuitive controller that has a built-in screen, another feature you don’t get with a Phantom. The Karma easily folds up for easy transport when you are done flying. It certainly is not as compact as a DJI Mavic, but it is easier to transport than a Phantom. In “wide” mode GoPros have a very wide 122° horizontal field of view and excellent image quality. The picture is a little sharper, less noisy and less processed than the Phantom 4, but the fish-eye distortion is disliked by many. The GoPro image was taken from about 11 inches from the test chart while the Phantom was about 26 inches away because of its more narrow field of view. Is the Karma the right drone for you? How does the Karma stack up against the DJI Mavic or Phantom 4? Check that out here. 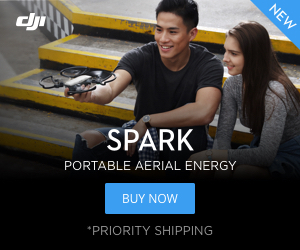 Maybe you want an aerial photography drone, or maybe you want a fun toy. Want FPV? We’ve developed an advanced system to match you to the right drone. We call it our Half Chrome Drone Cipher™, go check it out. We also are constantly updating our Best Drones Now page to help you stay current.